My wife and I had dinner the other night with our friends John and Jean Comaroff, South Africans by birth, jetsetting anthropologists by trade, just back from Cape Town and bearing — as a gift for us, it turned out — the Zimbabwean billion-dollar banknote depicted above. I had heard of these, as maybe you have too. I knew that hyperinflation in Zimbabwe has led in recent months to the printing of even higher denominations: the trillion-dollar bill, the hundred trillion. But knowing that these bills existed, I discovered, was not at all the same thing as encountering the billion-dollar bill itself, laid out delicate and dignified on the dinner table before me, its head-spinning pathos catching me so utterly off guard that, days later, I am still sorting it out. There was, of course, the vast ironic gap between the boldly lettered phrase ONE BILLION DOLLARS, in all its astronomic magnitude, and the actual value of the bill it was printed on. Currently the Zimbabwe dollar lists on foreign-exchange trading sites at a price of roughly 3 millionths of a U.S. cent (a rate so outlandish that its like nowadays can only be found among the currencies of massively multiplayer online fantasy games, such as Ultima Online’s Britannian gold piece, lately selling for about a million to the dollar). But even this pitiful valuation appears to be a polite fiction, papering over the reality that the Zimbabwe dollar scarcely trades at all, the U.S. dollar having, for all intents and purposes, become Zimbabwe’s legal tender, and the Zimbabwean finance minister having declared the national currency, as of late last week, “essentially dead.” Amid the heartbreaking vertigo of all those zeroes, then, the billion-dollar note now carries a hint as well of the memento mori’s sad uncanniness. 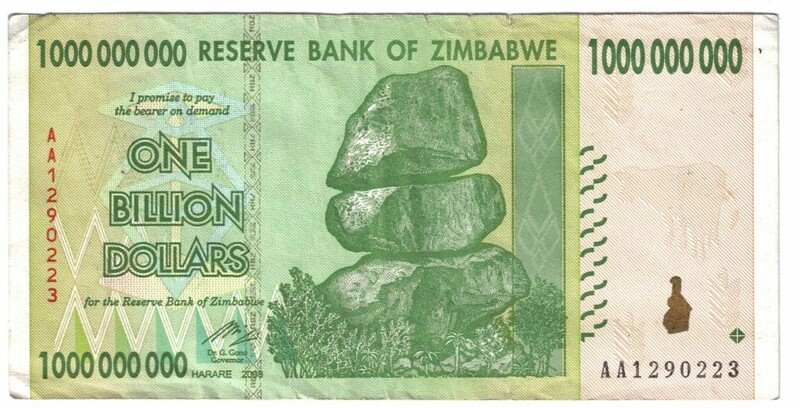 But saddest and most vertiginous of all, in the end, is what is written in the bill’s fine print: Zimbabwe Reserve Bank governor Dr. G. Gono’s signed promise, at once personal, official, and majestically absurd, to “pay the bearer” the billion dollars represented by the note should the bearer appear before him and demand that payment. Sure, the chief cashier of the Bank of England makes a similar promise on every British pound sterling note in circulation, and no doubt the Reserve Bank of Zimbabwe borrowed the exact phrasing at least partly in hopes of borrowing a little of the pound’s credibility. Sadly, though, the rhetorical effect is quite the opposite. Printed on the pound, the promise seems a quaint yet venerable archaicism, like wigs on judges — an assurance of essential continuity between today’s postmodern banking practices and the days when real money was made of gold and silver and a banknote simply guaranteed that you could get your hands on some. But on the Zimbabwe dollar, it has the flavor of a desperate stunt — as if Dr. Gono, like some “craaaaazy” discount-electronics guy on late-night television promising to eat his shorts if you can find a better deal, were literally daring you to walk into his office and trade banknotes with him if you doubt the value of his product — and only drives home the dizzying ungroundedness of all contemporary money. Give the US dollar a few more months, and we’ll all be Billionaires, just like the guys in Zimbabwe. The US dollar is just as worthless, the world just hasn’t woken up to that fact yet! Amigão, pensei que a mosca das aberrações que nós, latinos e africanos, realizamos, já tinha caído na sua sopa e você tivesse feito a digestão há tempos. Sem surpresa vejo a nota. Com surpresa leio seu comentário. O “horror! está tão visível, já nos alertava Mr.Conrad, afinal. Antropofagie esse papel e cole na sua cueca, na frente, e venda ao 1o mulçumano que encontrar. Para uma infinidade de orgasmos paradisícos só um “pinto”de O.B.D. .
Xanadu, Rosebud, News On March, Graceland, Benjamins, Franklins e Alis, Malcoms de A a Z(imbabwe). Bata tudo do liquidificador. Depois espalhe na tela do computador, adorne com as cores bem psicodélicas, sonorize com solo de rabeca, do Mestre Salu, e jogue na web O.B.D. É tempo de rir de nós mesmos. Como dizia o Barão de Tararé “de onde não esperamos nada, não vem nada mesmo”. Viva ao Barão! Viva ao Grouch! Viva Zapata! Viva Angelo! Amigão, pensei que o caldo das aberrações que nós, latinos e africanos, realizamos, já tinha caído na sua sopa e você tivesse feito a digestão há tempos. Sem surpresa vejo a nota. Com surpresa leio seu comentário. O “horror! está tão visível, já nos alertava Mr.Conrad, afinal. Antropofagie esse papel e cole na sua cueca, na frente, e venda ao 1o mulçumano que encontrar. Para uma infinidade de orgasmos paradisícos só um “pinto”de O.B.D. .
Xanadu, Rosebud, News On March, Graceland, Benjamins, Franklins e Alis, Malcoms de A a Z(imbabwe). Bata tudo no liquidificador. Depois espalhe na tela do computador, adorne com as cores bem psicodélicas, sonorize com solo de rabeca, do Mestre Salu, e jogue na web O.B.D. É tempo de rir de nós mesmos. Como dizia o Barão de Tararé “de onde não esperamos nada, não vem nada mesmo”. Viva ao Barão! Viva ao Grouch! Viva Zapata! 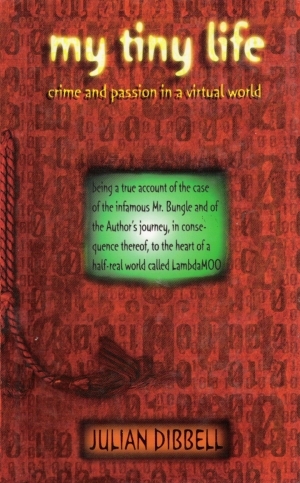 Viva Angelo! If you were to walk into the Bank of England in London and demand payment of a £10 note, I am sure they would not have any problem giving you ten £1 coins. Inflation. Kills everything, for one day all your savings disappear and you get poor.